Jeffrey (Jeff) Mackie was born in Winston-Salem, North Carolina. He attended Wake Forest Univesity where he graduated in 1969. 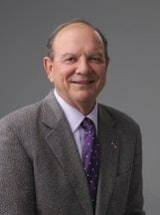 He received his law degree from the University of North Carolina School of Law in 1972 and began the practice of law in Hickory, North Carolina with Forest A. Ferrell. In 1975, Jeff joined Sigmon, Clark. Jeff's practice is focused in the area of civil litigation. This practice is primarily concentrated in the areas of personal injury, worker's compensation and medical malpractice. Since 1994, Jeff has served as the attorney for the Hickory Public Schools. In 1994, Jeff was certified by the North Carolina Dispute Resolution Commission as a mediator. Since that time, he has mediated well over a thousand cases. His broad experience as a litigator in Western North Carolina instills confidence in his clients that he will obtain the best result possible for them. Jeff is a member of the Catawba County Bar Association, the 25th Judicial Bar Association , where he has served as President and the North Carolina State Bar Association. He is a member of the North Carolina Academy of Trial Lawyers and is a Centennial Sustaining Member of the North Carolina Bar Association. He has tried cases at the levels of the North Carolina State Courts. He has also practiced before the United States District Courts for the Western and Middle District of North Carolina. Jeff is a member of the Million Dollar Advocates Forum. Membership is limited to successful trial lawyers who have demonstrated exceptional skill, experience, and excellence in advocacy by achieving a trial verdict, award, or settlement in the amount of One Million dollars or more. We don't represent that similar results will be achieved in your case. Each case is different and must be evaluated separately. Jeff has been included on the Super Lawyers list by Super Lawyers Magazine in 2008. Only 5 percent of the licensed active attorneys in North Carolina are named to the Super Lawyers list. Based on peer recognition and professional achievement, the selection process includes a statewide nomination process, independent research on each candidate, and peer evaluation by practice area. Jeff was also among the initial inductees to the North Carolina Academy of Superior Court Mediators in 2008. Less than 5% of currently certified mediators in N. C. are invited to join this organization after peer nomination and interviews with attorneys who have utilized the mediator's services. Jeff was selected by peer recognitions to Best Attorneys in NC in 2015. In 2013 he appeared before the United States Supreme Court. He retired from the active practice of law in March 2015, but continues to mediate and arbitrate civil cases. To view Jeff's calendar for available mediation/arbitration dates, please go to http://www.ncmediators.org/profile.php?id=1080352571 - click on "view availability dates".